The following is a step-by-step post by OkiAJET on how to do a furikomi. 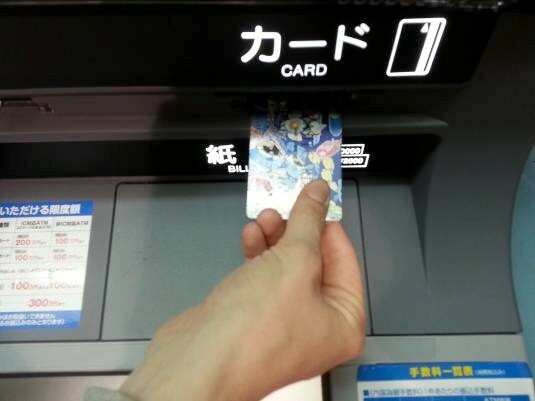 The information has been modified to assist with furikomi done outside of OkiAJET events. 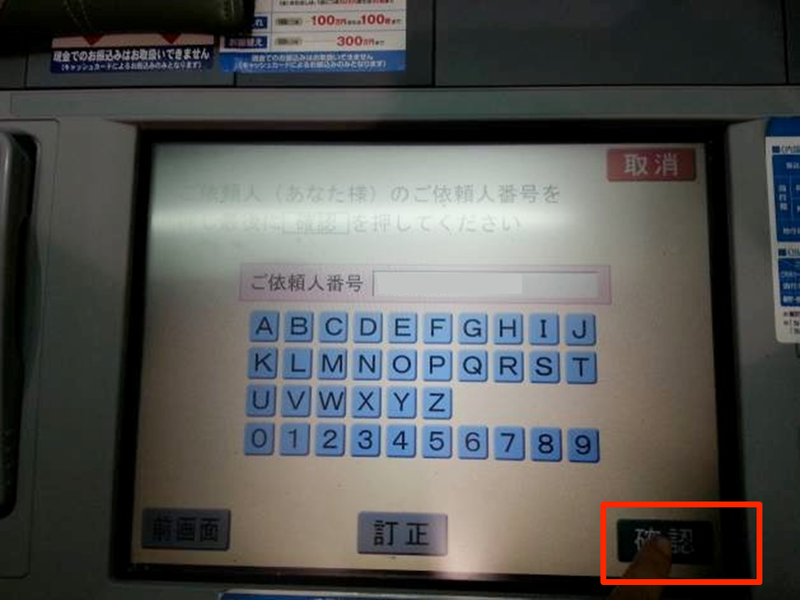 To begin insert your card in to the machine, you can normally do this at any bank if you have a card and the dexterity to insert it into the admittedly tiny slot. 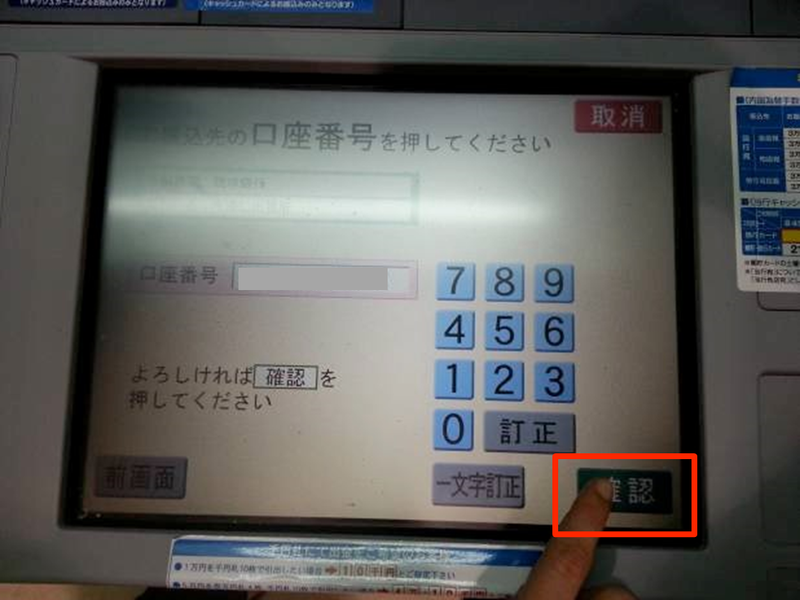 After inserting your card select the option that says 「お振り込み」from the options. This is the option for a money transfer, and what we’re into today. 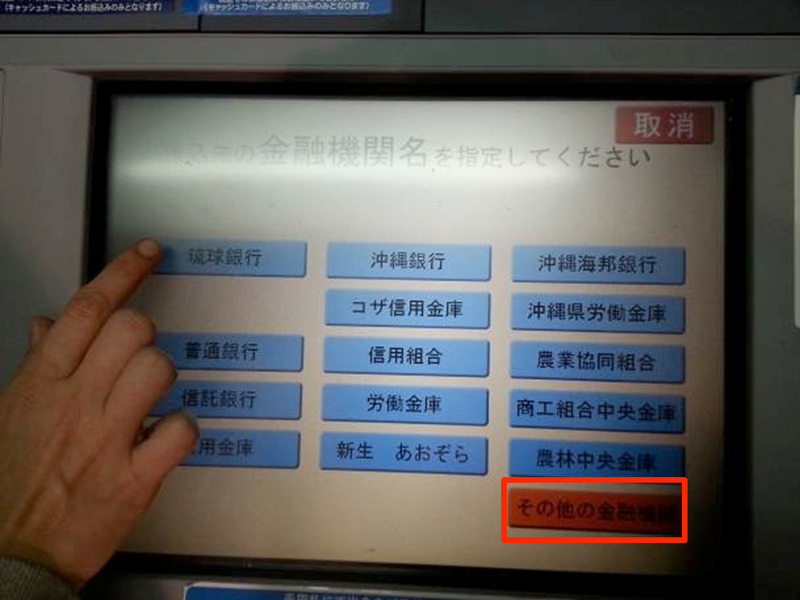 If you can’t find your bank on the first page, please select 「その他」 to look up your bank. 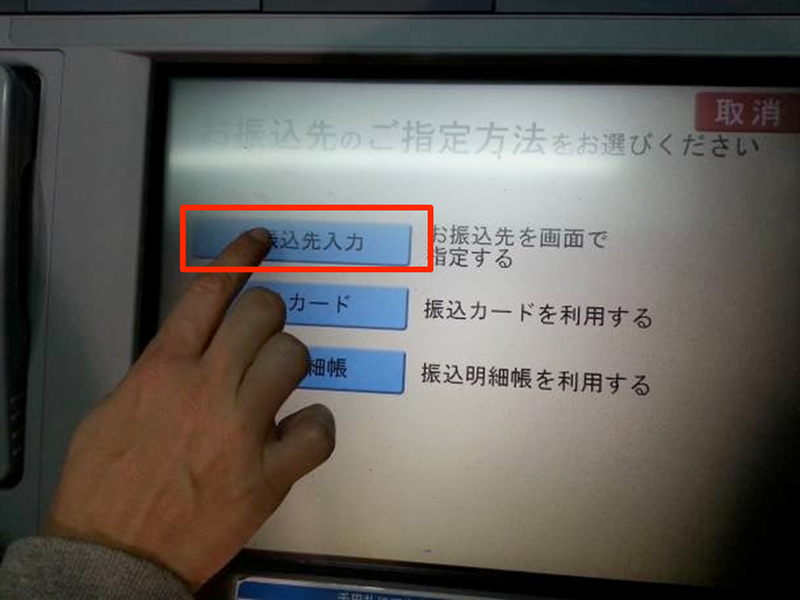 After you find the bank, you will then need to input the branch of the account you will be transferring money into. 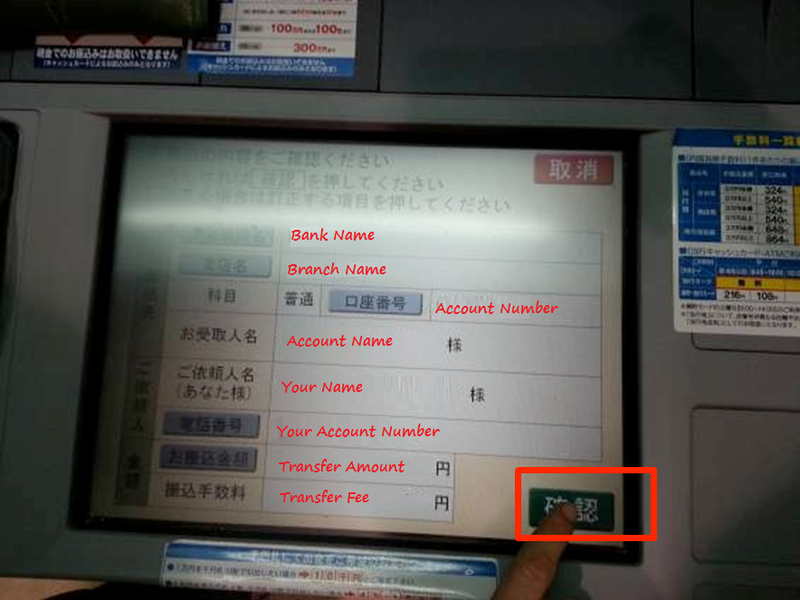 After you select the branch name, please input the account number. When you are finished select 「確認」 to confirm. After confirming the account number, you will need to input the amount to transfer. 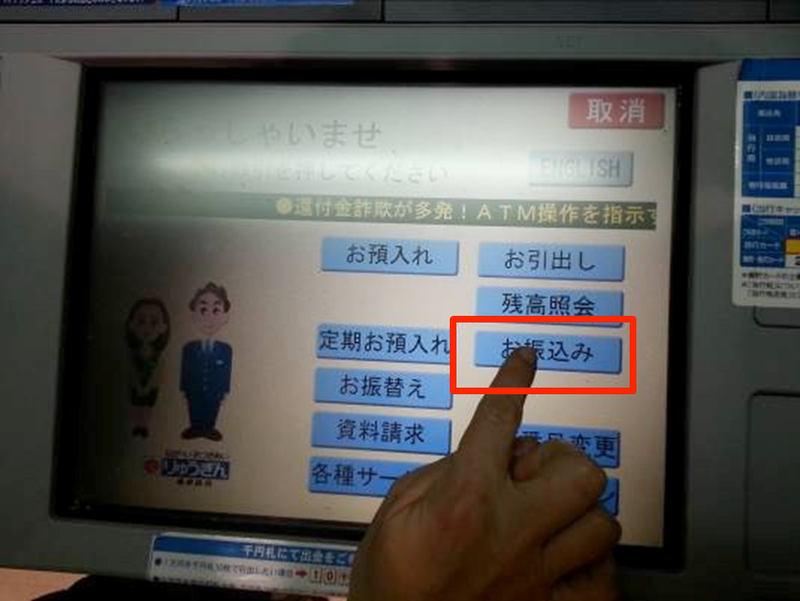 When you are finished, select 「確認」 to confirm. Next we need to put in a name to be attached to the money. 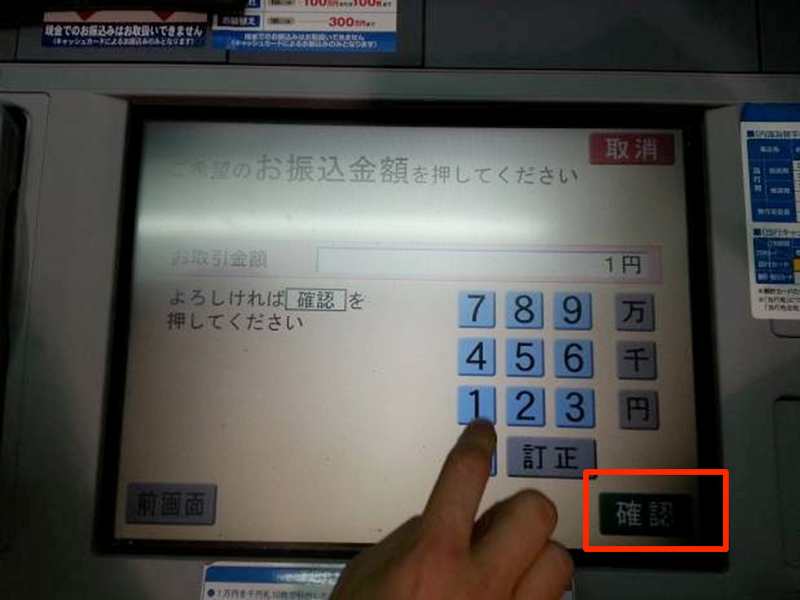 Hit the top option that says 「ご依頼人番号」 and input your name. 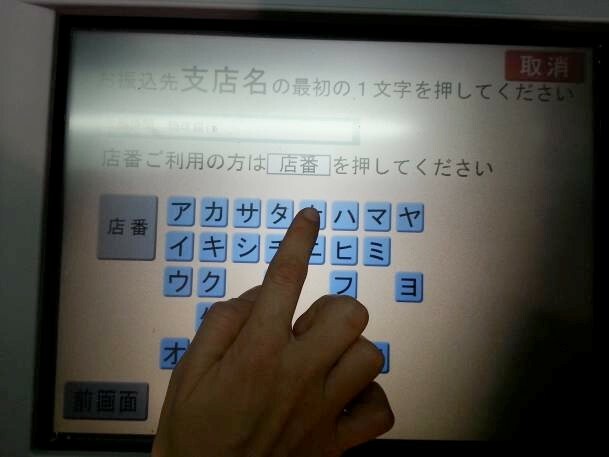 Input your name and when you are finished, select 「確認」 to confirm. Okay, you made it! 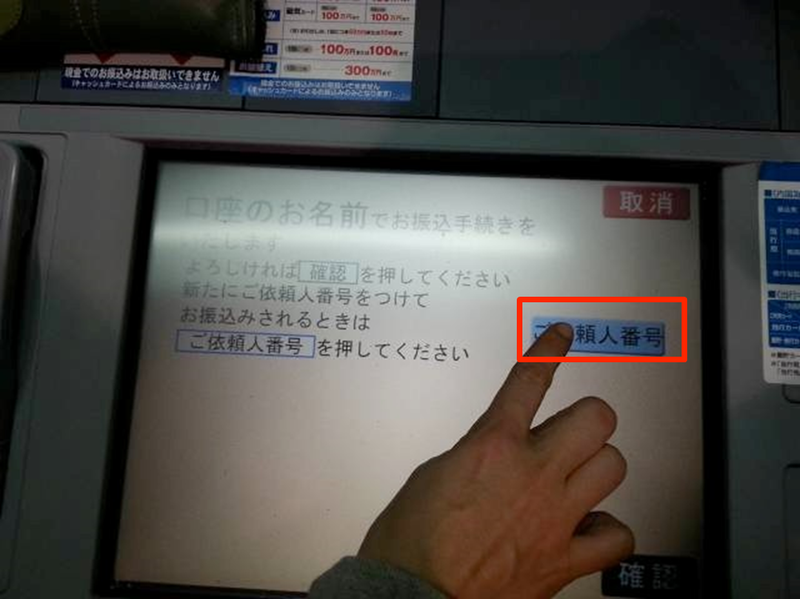 All you need to do here is confirm that all the information you’ve inputted is accurate, and then finally hit the green 「確認」 button to confirm and send the money.